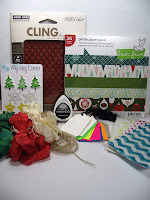 She makes beautiful cards and you can enter one of the giveaways if you follow her blog. 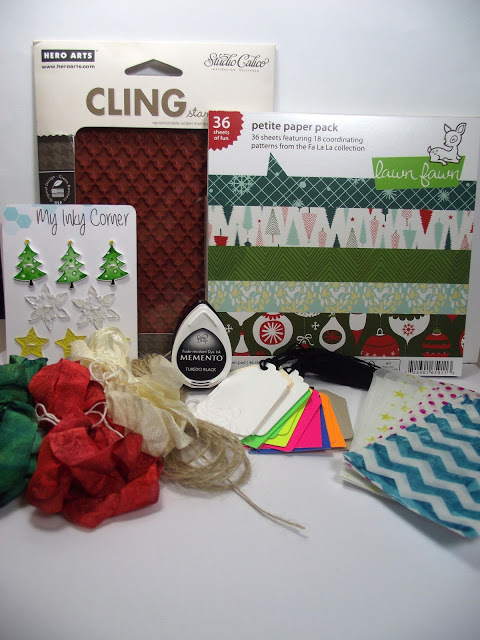 Cristina Martinez also sells craft goodies at her etsy shop. It was a pleasant surprise to receive her lovely package of goodies and a hand-made greeting card. Thank you, Christina! I enter this card into Snip-n-stick challenge at A blog named Hero and into Simon Says Stamp and Show challenge: Have a Heart. Hi Maria, what a lovely Valentine's card. I am sure your husband will feel the love! Just came back from a weekend in a Church where hubby and I gave our Marriage Seminar - it was very well received and people were blessed. Praise the Lord. I'm so glad you got the goodies! Thank you so much for mentioning my blog and etsy shop!!! Your husband will love this sweet card! Thanks for playing along at ABNH. Beautiful card!! 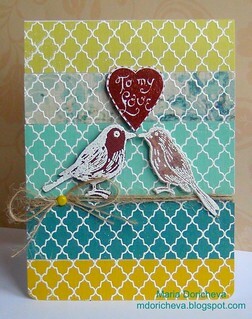 Love the cute birds and the pretty background papers!! Pretty color blocking! I know your hubby will just love this :) Thanks for playing along with us at A Blog Named Hero!